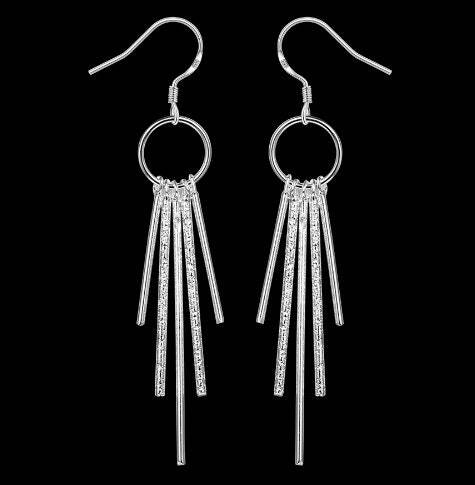 Simple Silver Elegance. You are gonna wear these everyday! 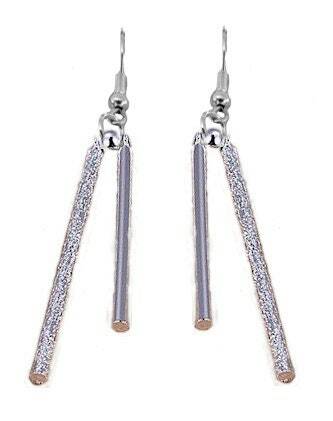 Silver Round Bar is formed and textured then Silver plated to form 2 styles of earrings. For the necklace, bars and 1/4” plated balls float on a wonderfully textured non-kinking snake chain with lobster clasp. 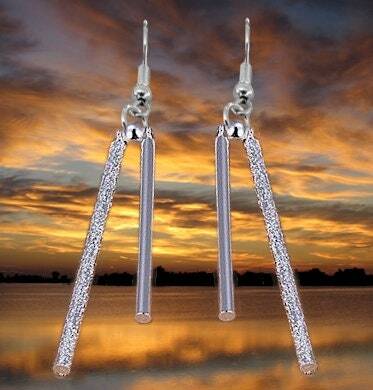 The Earring and Necklace bars vary in length between 1 1/4” and 1 1/2" long. Very high quality for such a low price. 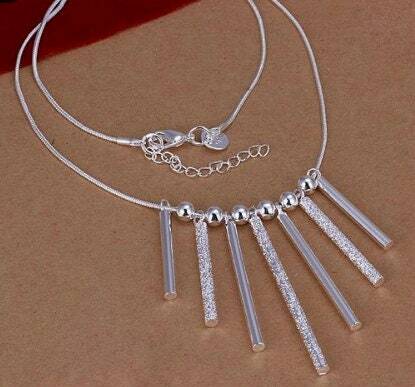 Necklace comes with an exquisite Silver plated 18" snake chain. Comes with a positive locking lobster claw clasp. 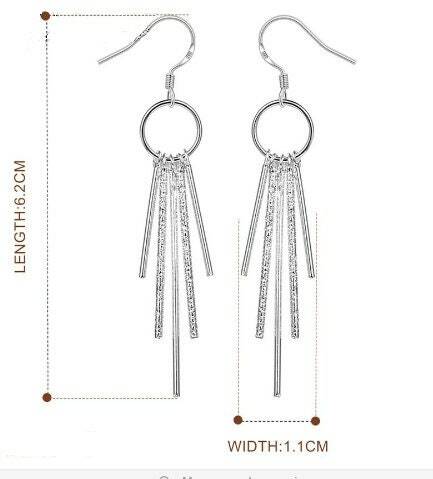 Earrings come with complementary ear wires and backs.